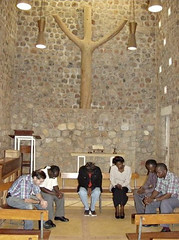 Special prayers have been called for in Congo for the dates of May 27-30. We want to share with you the subjects that they will be praying for. We also invite you to join with your brothers and sisters in Congo to bring these concerns to God in Prayer. Pray for sustainable peace in the Eastern DRC. Pray for the AMANI (peace) Initiative led by Abbe Appolinaire Malu-Malu. 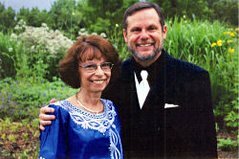 Pray for the implementation of the five key performance areas (chantiers) for the DRC. The Congolese people are waiting for effective implementation of these five KPAs. Pray for the Church and its mission in the DRC. Pray for the DRC President, the Government, the National Parliament, the Senate and other institutions so God can provide to them further wisdom, good governance, etc. in order to be able to serve the people. Pray for children (separated and abandoned) and women (sexually abused) affected by ethnic and armed conflicts. Pray for the newly established mining companies. They have to avoid child labor, corruption and fraud, destruction of the environment, exploitation of highly radioactive minerals, etc. Pray for the civil servants who are not paid for many months. This situation has led to many social problems, including prostitution, street children, crimes, etc.